Those lacking personal experience with Manic Depression or Bipolar Disorder often assume that the opposite side of the depressive bit is Happy. Manic is not happy. Manic is fast. Manic is the brain refusing to shut down, rest, or relax no matter what the underlying emotion is. Manic might be happy but it isn’t a requirement. Manic is the neurons in the left frontal lobe of the brain firing faster than they should without ever properly recharging, like a tiny localized seizure which will not end. In fact many bipolars are treated with the same drugs as epileptics. You would think that fast would be helpful to a writer who is 40k behind on target word count, but fast doesn’t mean focused. At least not focused enough to open a single document and write. It would be nice if it worked that way. Hell if it worked that way I would risk the depressive moments and go off my meds right now. But it doesn’t work that way, at least not for me. I should have seen this one coming. Three nights of overly vivid dreams intercut with long waking hours of my mind trying to write six stories at once while worrying about my taxes, a coming year where I will sell little new, if Crayola washable paint is really as washable as they say, and being annoyed at the fact that I probably wouldn’t be entering the A&P show this year because I have so much else to do. Got to the grocery story early in the morning looking for that night’s dinner. One of those nice big box stores. I’m usually there in the late afternoon when all the good produce has been picked over but at 8AM there were big glossy piles of fruit. Apricots, plums, cherries, all of it just there and waiting. I know technically manic and depressed phases fade on their own whims but I’ve always felt like I could somehow burn the manic days out. Do something that feeds the flickering storm until it is sated, at least for a while. There have been bad attempts at this over the years, stupid and embarrassing things I’d much rather forget. I have it down now, more or less. I need to do something that requires focus and precision but it can’t be a singular focus, like writing. There needs to be division coming together, eventually, in a whole. And if I can get something out of it in the end all the better. Baking is good for that. Not a single batch of cookies. That I can do half asleep. More like what I did for last year’s A&P show. Bread, cakes, cookies, dozens all in one day with each variety needing different times, temperatures, and care. Enough different things to think about to help stop thinking about random things. But this time it’s not baking. It’s too hot for the oven to be on all day and baking has too short a shelf life. 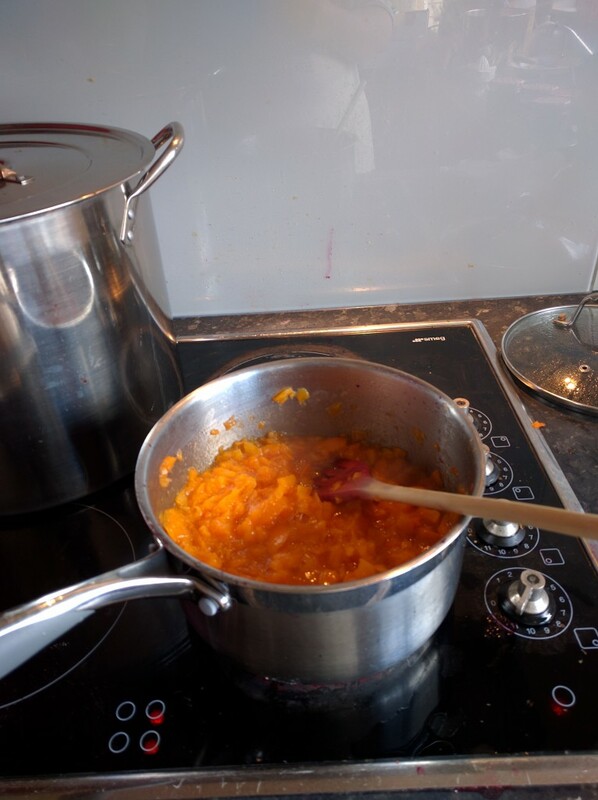 Jams and marmalades, on the other hand, done just right can last for a year or more. 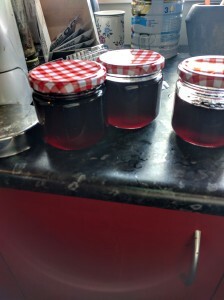 I’ve been itching to try a chutney recipe I found, and I’m considering turning half the mint in my garden into jelly. Canning doesn’t split the focus quite as much as baking, but with Welcome to Night Vale playing in the background and my small laptop open on the counter so I can write blog posts while jars boil I can hopefully ride through this moment of running too fast but not too well.